The US Army is beginning to release water from two Houston reservoirs which have risen too quickly as a result of Tropical Storm Harvey. The move will cause flooding to nearby homes. The water is being released from the Addicks and Barker dams into Buffalo Bayou, the main body of water running through Houston. The move is necessary in order to prevent uncontrolled water flowing from the dams, the US Army Corps of Engineers said in a statement. 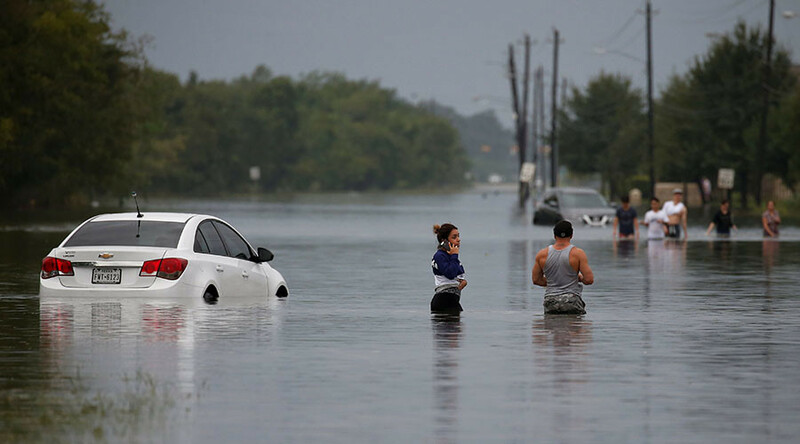 “If we don’t begin releasing now, the volume of uncontrolled water around the dams will be higher and have a greater impact on the surrounding communities,” said Colonel Lars Zetterstrom, Galveston District commander of the Corps, as quoted by Reuters. He added that all roads within the Addicks and Barker area will be flooded and closed for “an extended period of time,” until the Corps can release adequate quantities of water from the dams. Engineers have been forced to start the process early than previously announced, as water levels in the reservoirs have “increased dramatically in the last few hours,” officials said on Monday. They added that the release would likely cause more street flooding which could potentially spill into homes, and said this is the first time that engineers have done such a thing for flood control. The reservoirs, which were constructed by the federal government in the 1940s to reduce flooding along the Buffalo Bayou, are located about 17 miles from downtown Houston. As Houston prepares for flooding from the two reservoirs, the city is also bracing for natural flooding from more rainfall in the coming days. The worst floods are expected on Wednesday and Thursday, according to the National Weather Service. However, there is still some uncertainty over the storm's path. 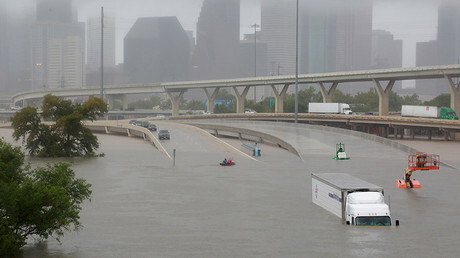 Meanwhile, officials from the Federal Emergency Management Agency (FEMA) have asked for volunteers to help Texas recover from Hurricane Harvey, which has been downgraded to a tropical storm. FEMA administrator William ‘Brock’ Long admitted during a Monday news conference in Washington that the effects of the storm and its flooding are greater than the government can handle alone. 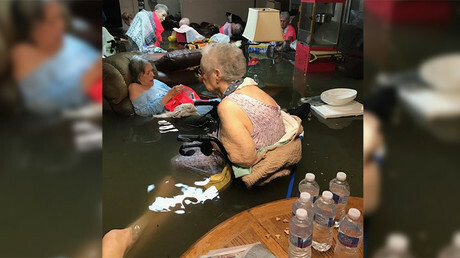 FEMA officials have said they are committed to getting federal resources to Texas as quickly as possible, noting that more than 450,000 people are likely to be seeking assistance. More than 30,000 are expected to be placed in temporary shelters. Harvey is the most powerful hurricane to hit Texas in more than 50 years. At least two people have been killed since it first hit land late Friday. Meanwhile, US President Donald Trump has approved an emergency declaration for five southwest Louisiana parishes as a result of Harvey, a spokesperson for Governor John Bel Edwards' office announced on Twitter.